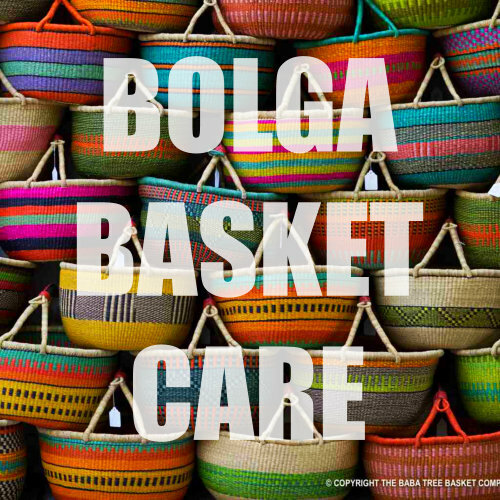 Many of the Bolga Baskets will arrive packed flat (full instructions for re-shaping will be sent with the basket) but they are very well made and strong. Push out the basic shape of the basket. Keep any leather handles dry and wet the straw of the basket with either a hose or dip into cold water. Leave it for a few minutes for the straw to absorb the water then gently reshape using your fist and fingers to bend it into shape. Leave to dry naturally. You can do this as often as you wish. Just make sure that you keep the leather handle dry and your basket will give you years of pleasure. 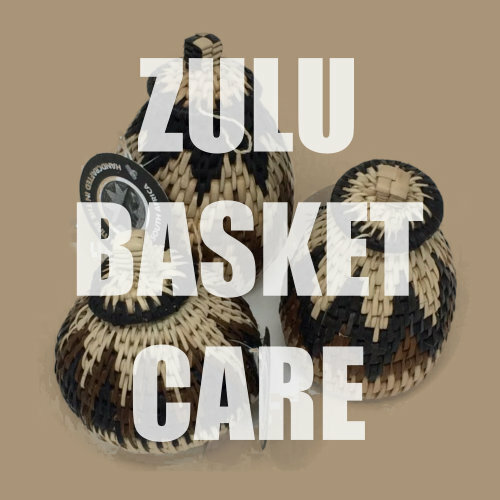 Zulu Ilala Palm Baskets and Bowls; whilst traditionally these have been used to store liquids, in order to retain the beauty of these beautiful baskets they should be kept dry and preferably away from direct sunlight. 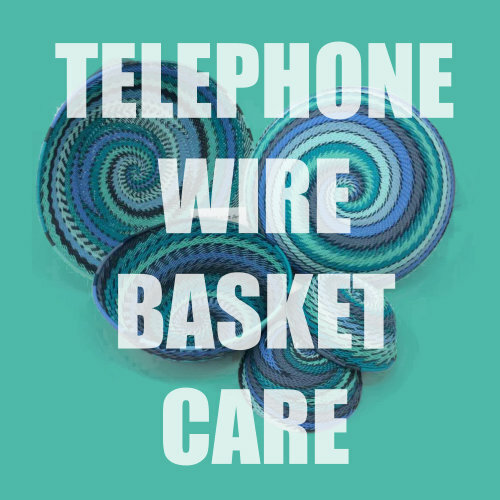 Telephone Wire Baskets can be washed in warm soapy water.